Here's an update on the poster, redrew the beach scene to be more beachy! 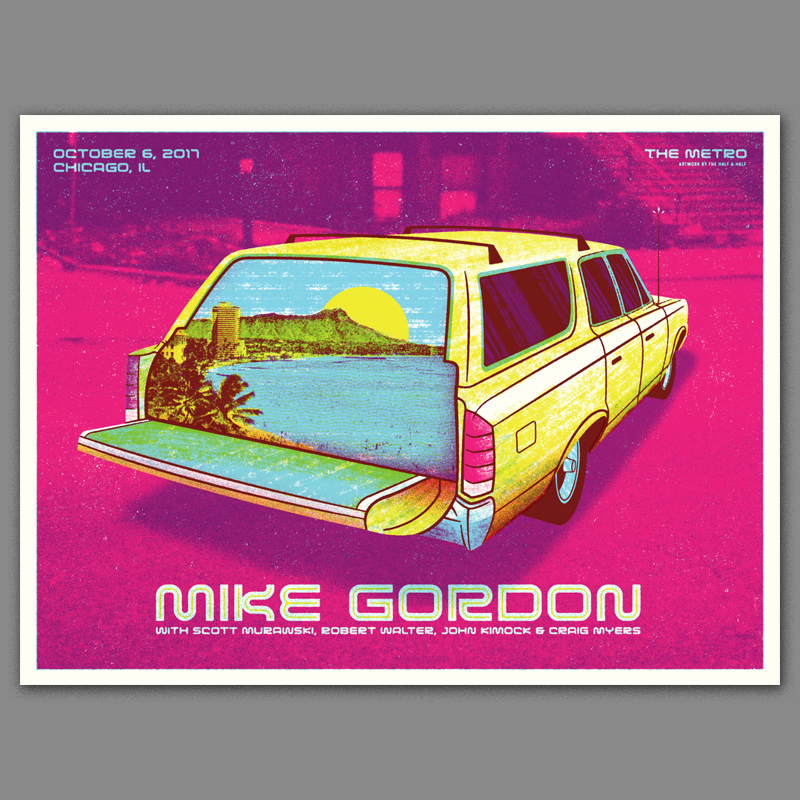 Here is the final art for the Mike Gordon Chicago poster - it's set up to be a 3 color print (pink, yellow and blue). The colors on the actual prints may appear a bit different since we're relying so heavily on overlays to make some of the colors - but I think it will look great! Here are a couple of ideas I came up with while listening to the new record & reading the lyrics - I think either of these could be awesome completed! I need to know, you got an island in the trunk". 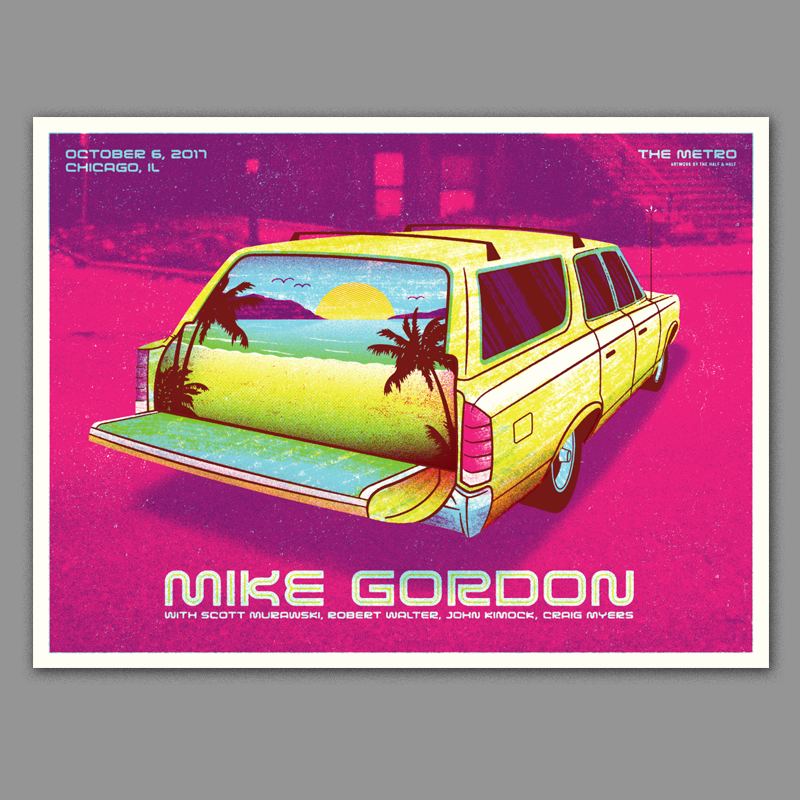 I'd like to illustrate the car in a similar style to how we did the car on the Trey poster we earlier this year (see below). It would be cool if the island scene was an old photo or postcard (think cheesy 1960s 'wish you were here' style) collaged into the back of the station wagon. I think the whole thing could have a cool nostalgic and surreal vibe to it. 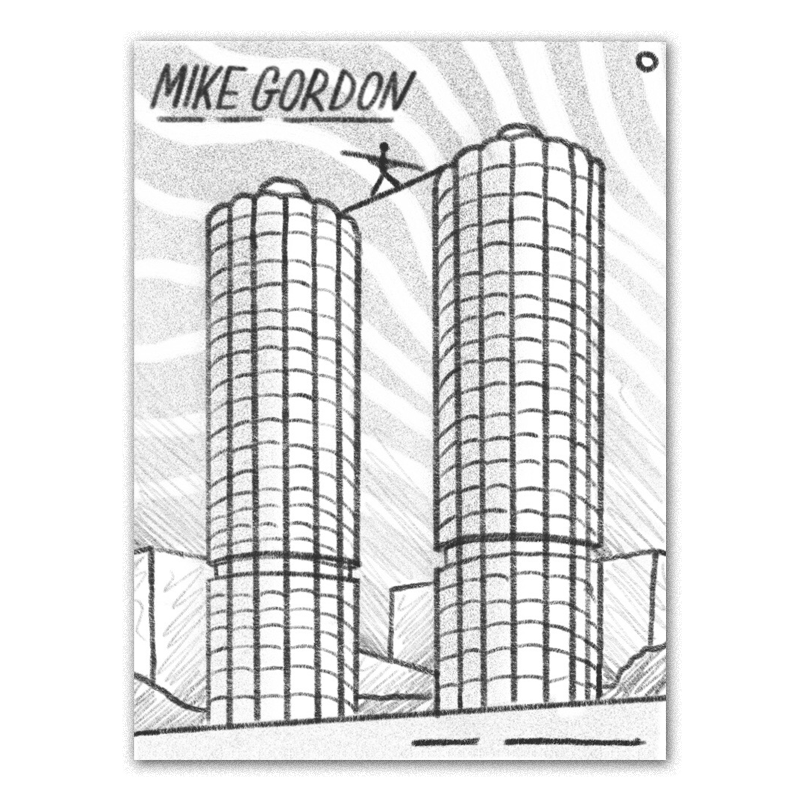 A very chicago-centric idea featuring the famous marina city buildings with a mysterious figure tight-rope walking between them. This idea was inspired by the song 'Equiluibrium' which is all about balance. 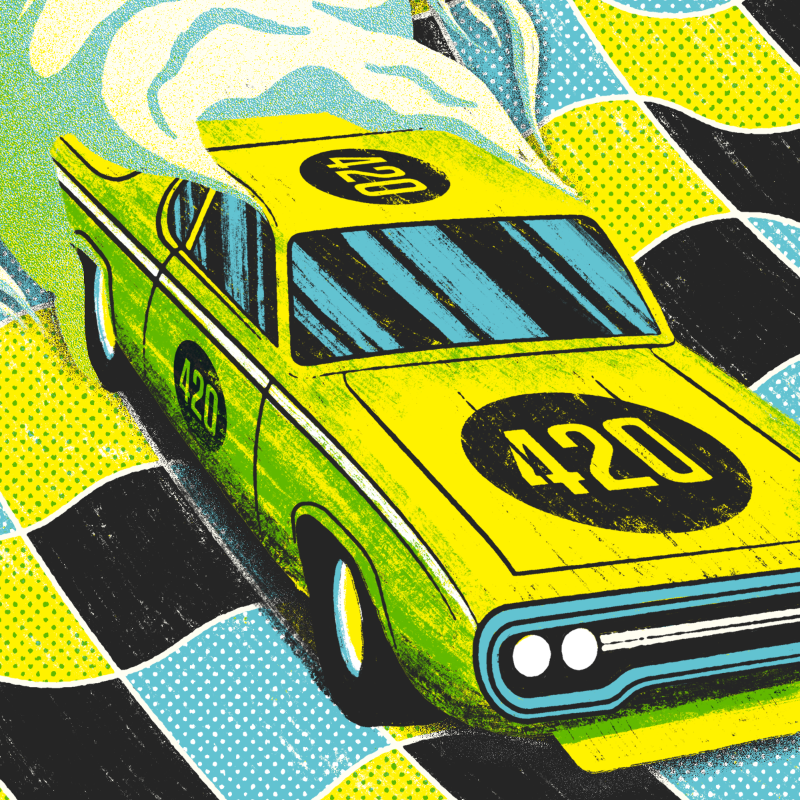 The background would be a wavy psychedelic sky in some nice sunset colors.